We’re very happy that we can introduce new version of Locus. It comes with lots of improvements. The most significant is… the speed. Last month we’ve focused mainly on optimization loading points and tracks. Do you have large data set of POIs or geocaches? 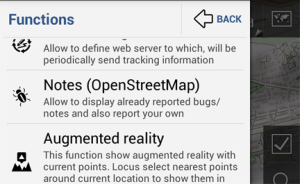 Locus reads and shows your points almost three times faster in new version! Great, isn’t it? 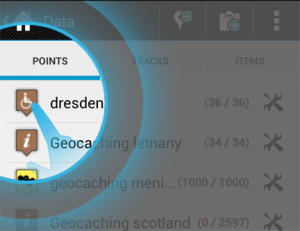 With this speed improvement is related new function: quick select or deselect of entire folder with points and tracks. Click on the icon of folder and Locus select or deselect all points or tracks in this folder. But there is even quicker solution. Do you want to hide all points and track on the map? Long click on Data button provide function “Hide all” which simple make all items temporary invisible. Sometimes can be difficult to find the correct cache in huge list of your points. Locus has better tools for filtering and sorting cache in your data folders. 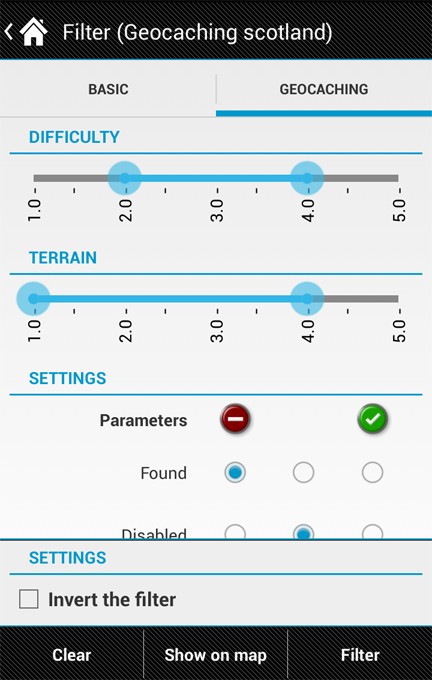 You can filter caches based on their difficulty, terrain and also based on their type. 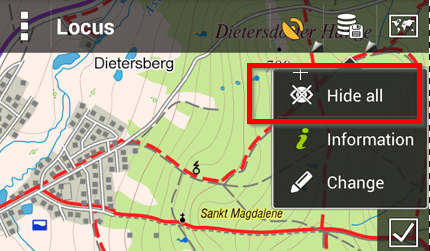 Openstreetmap service has changed their bugs system to the new one – Notes. New Locus version reflects these changes and now you can create and show notes directly in your android device. 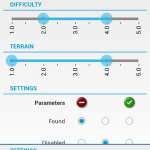 There are other improvements which make Locus more helpful for your outdoor activities. Rendering offline vector maps is again little bit faster than in old version. Better support of lines and areas in KML files and of course lots of small changes, fixed bugs and memory optimizations.